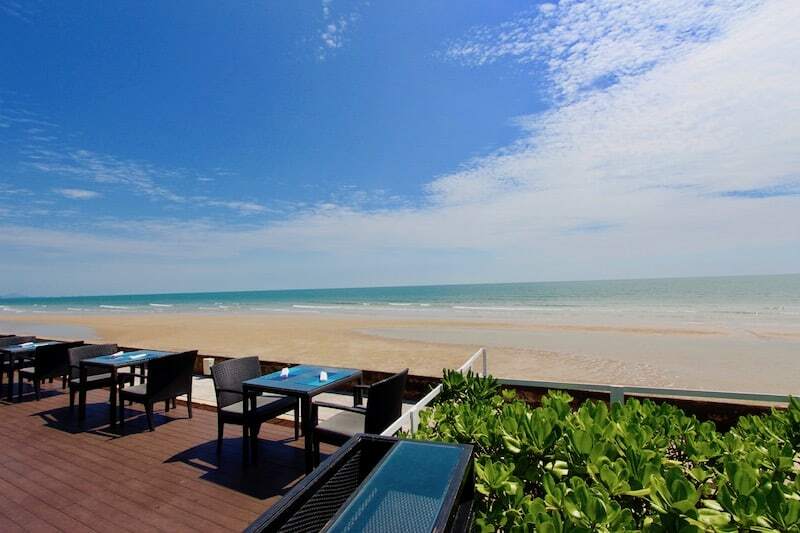 This beautiful 1 bedroom condo unit is located in the heart of Hua Hin, directly next to the beach. 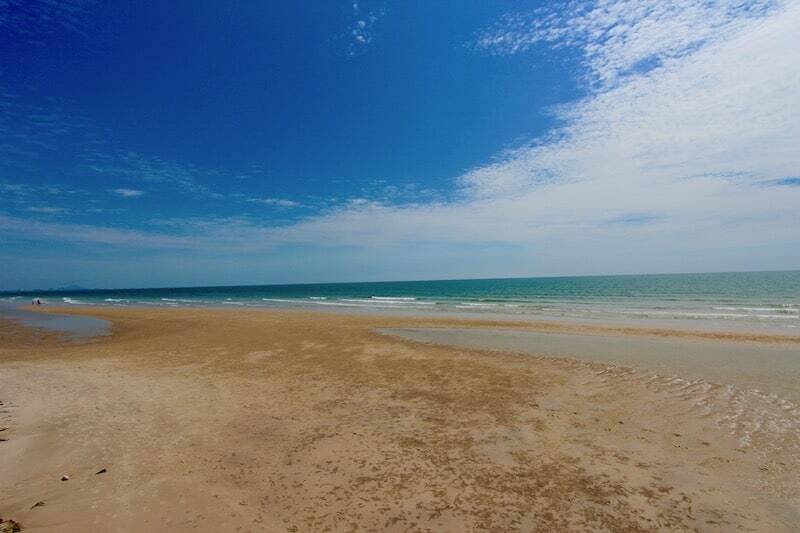 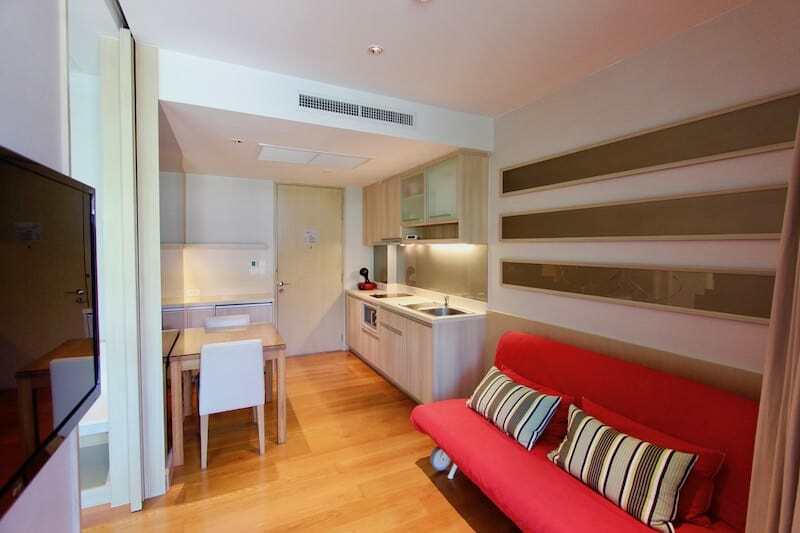 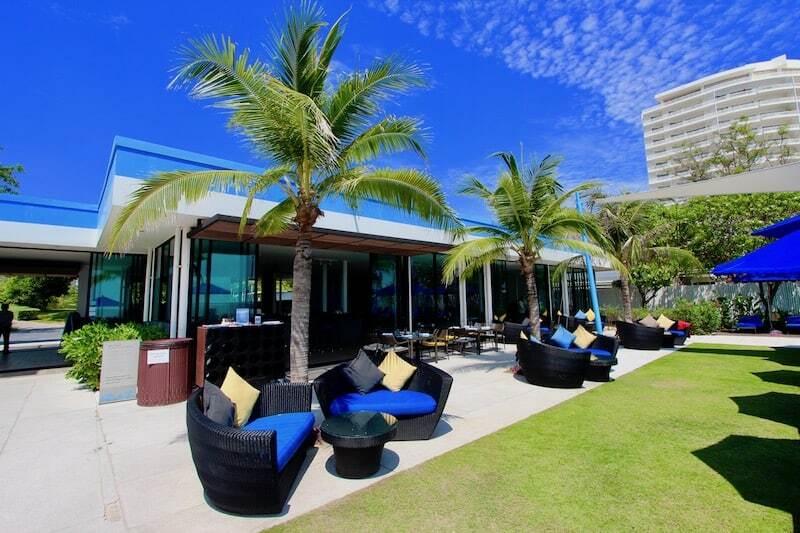 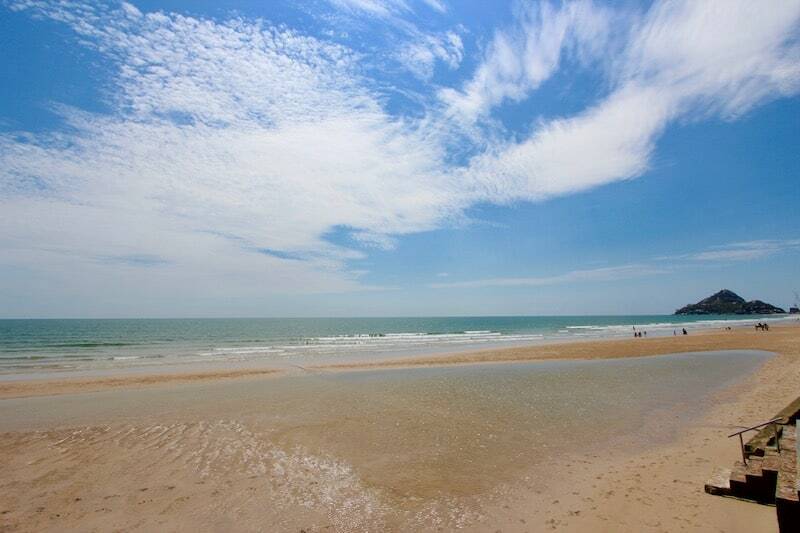 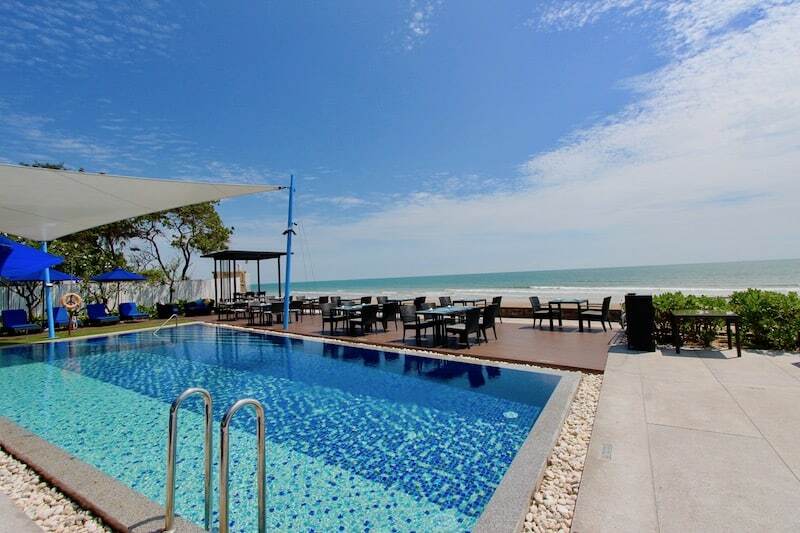 Are you looking for a centrally located Hua Hin 1 bedroom condo for rent on a long-term basis? 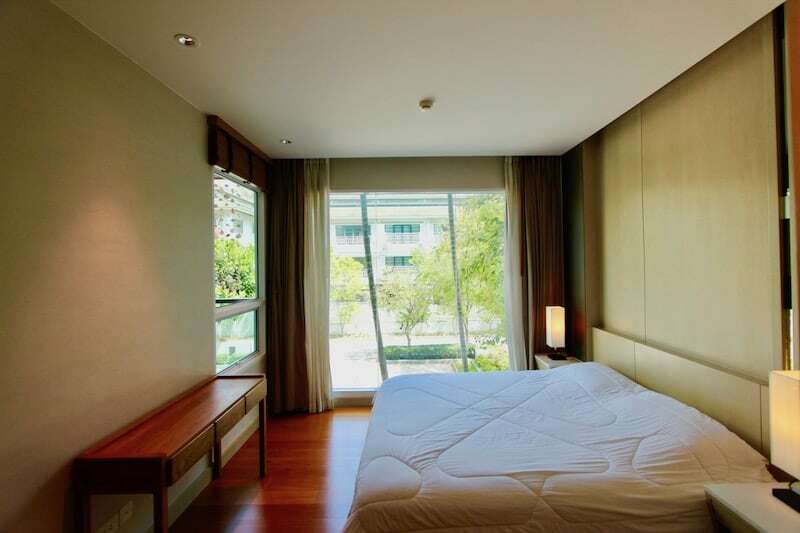 The north facing (cooler position) condominium is surrounded by manicured, mature garden-scapes that make living here a literal paradise. 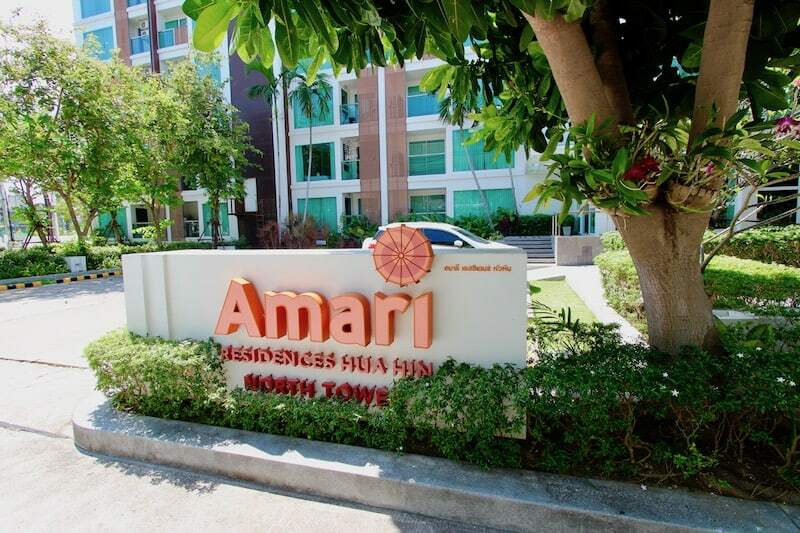 Plus, there are many top-end amenities offered by the Amari services, such as the multiple on-site restaurants & cafés, a luxurious spa, children’s play center, and high quality fitness center. 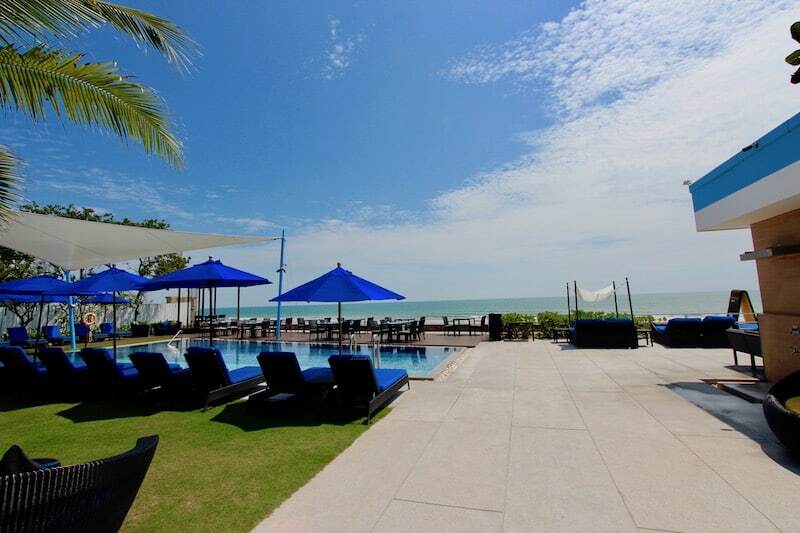 There are 3 different swimming pools within the Amari grounds to choose from, each surrounded by exquisite gardens or directly looking over the Hua Hin beach. 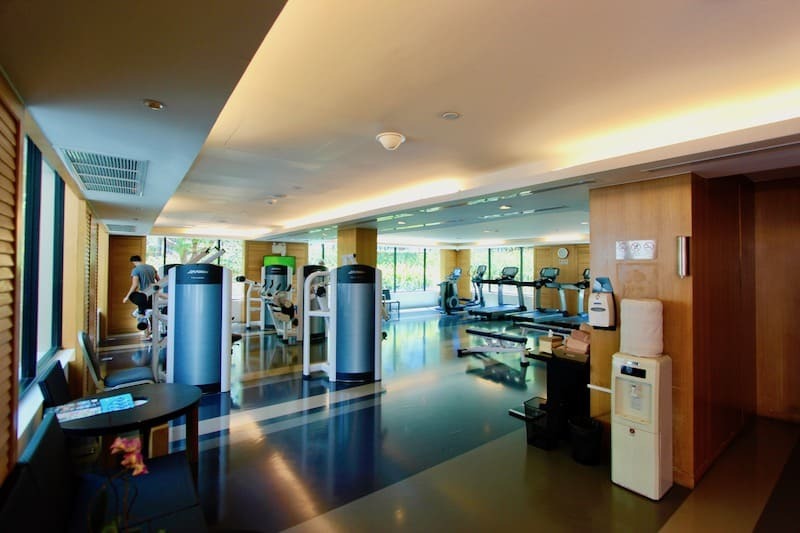 Also, located on-site is private underground parking, and 24-hour security. 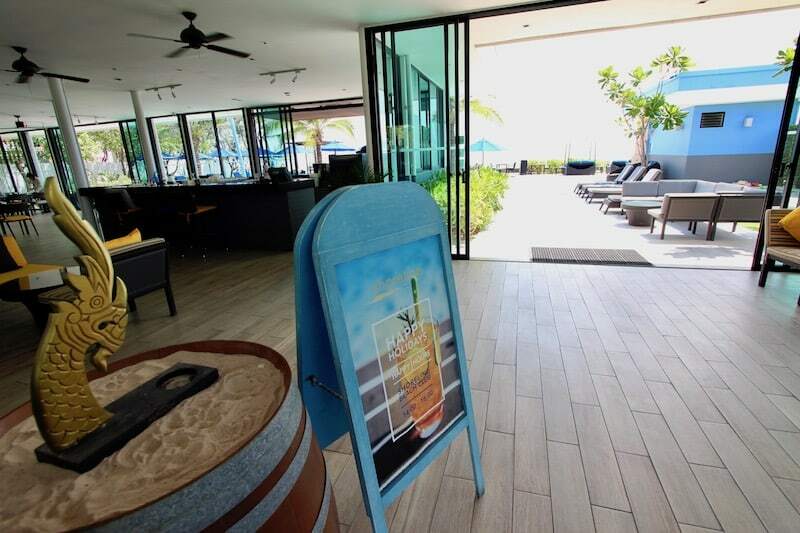 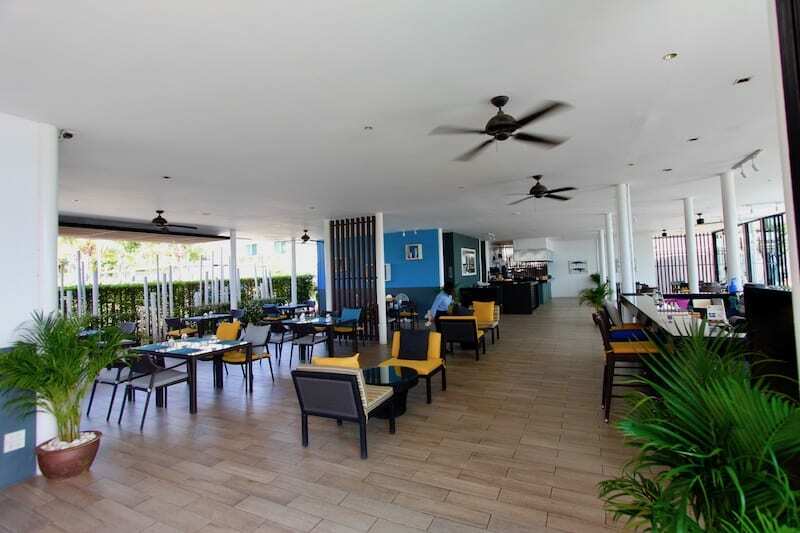 The Amari has a beach club where residents and guests can enjoy umbrellas, sun loungers, a large infinity edge pool, and full-service restaurant and bar located directly on the beach (approximately 300 meters from the condo and a 3 minute walk). 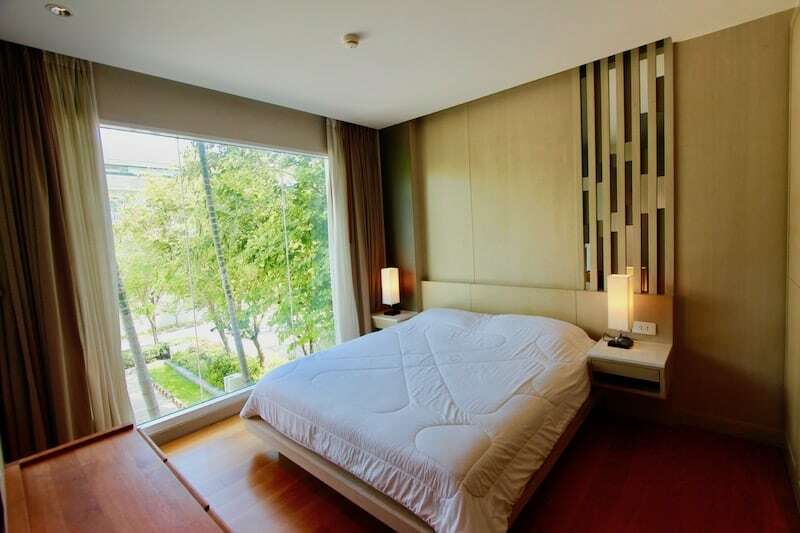 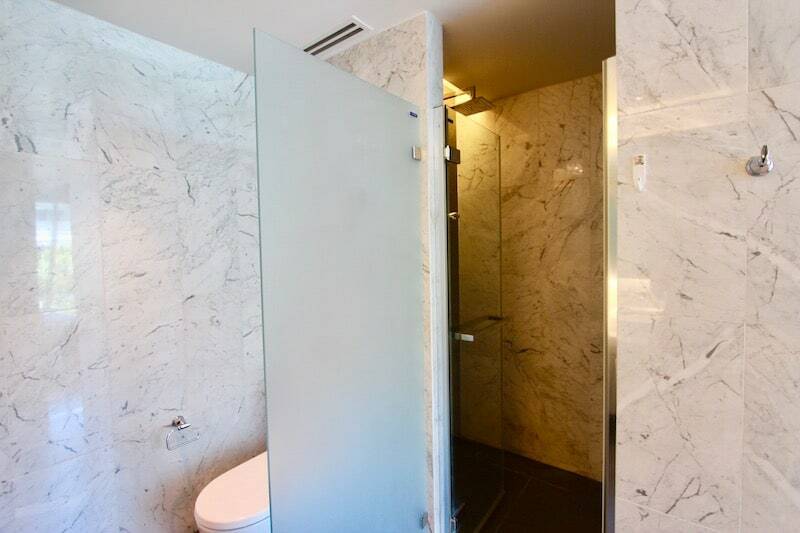 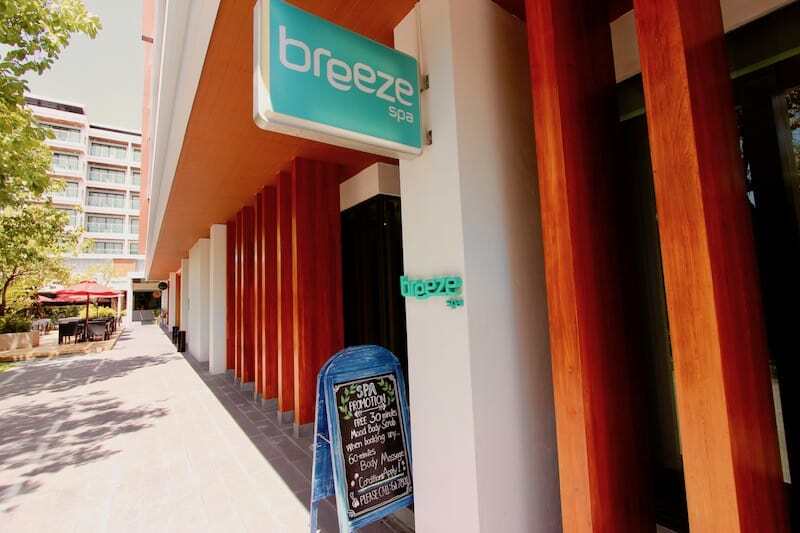 This condo unit is within walking distance of the famous Cicada Weekend Night Market, Tamarind Night Market and many other restaurants, cafés, shops, massage and other amenities. 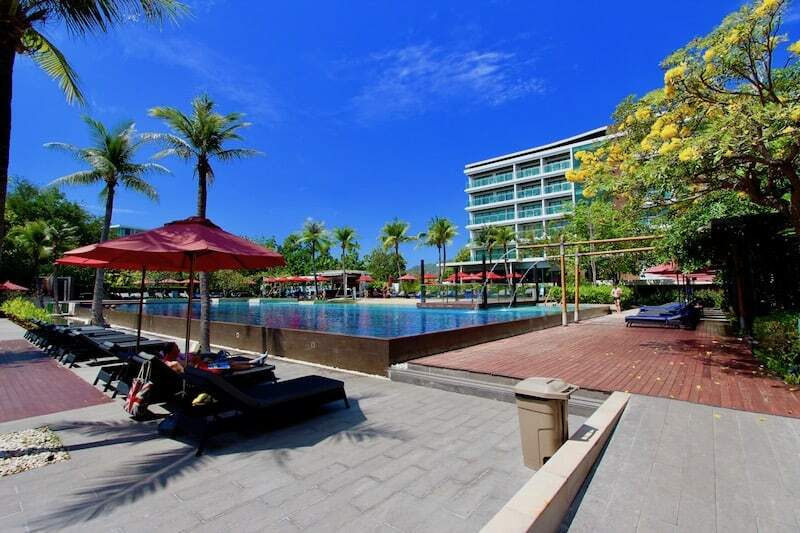 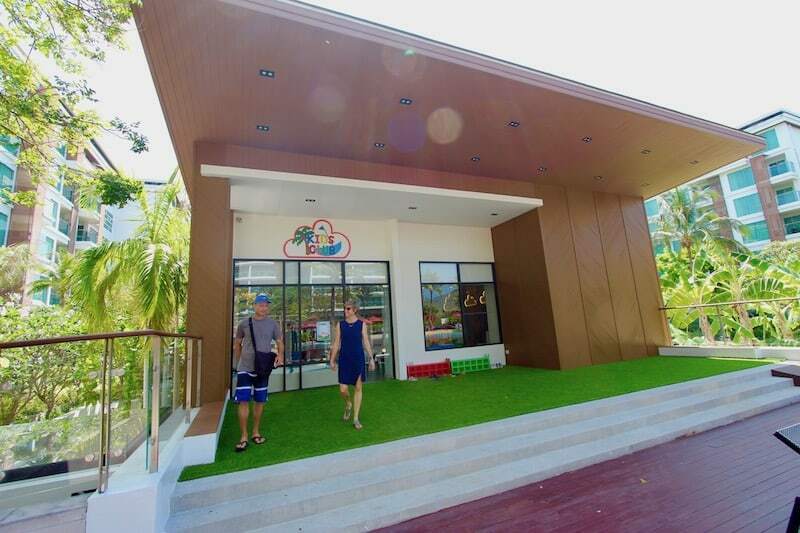 The Amari is also directly on the public transportation line for quick and convenient access to downtown Hua Hin. 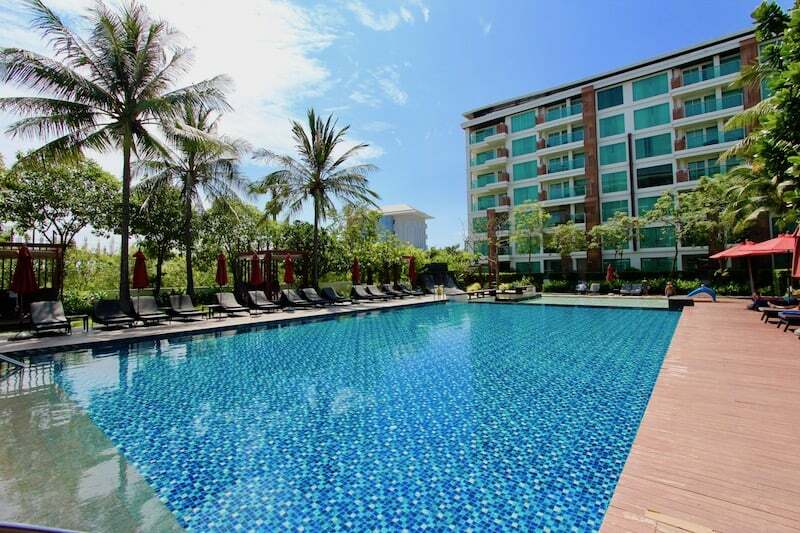 The condo unit itself is 41m2 with a dedicated high-speed internet line, a large flat-screen TV, a living/sitting room and dining area and & fully equipped kitchen. 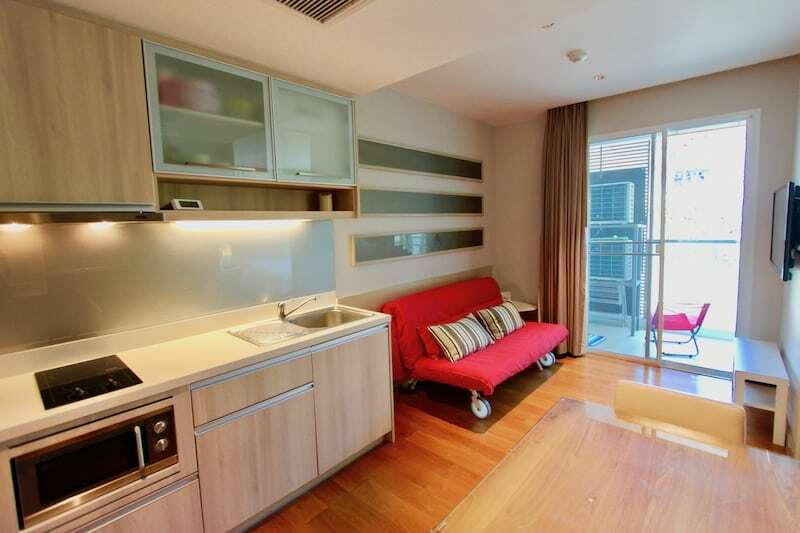 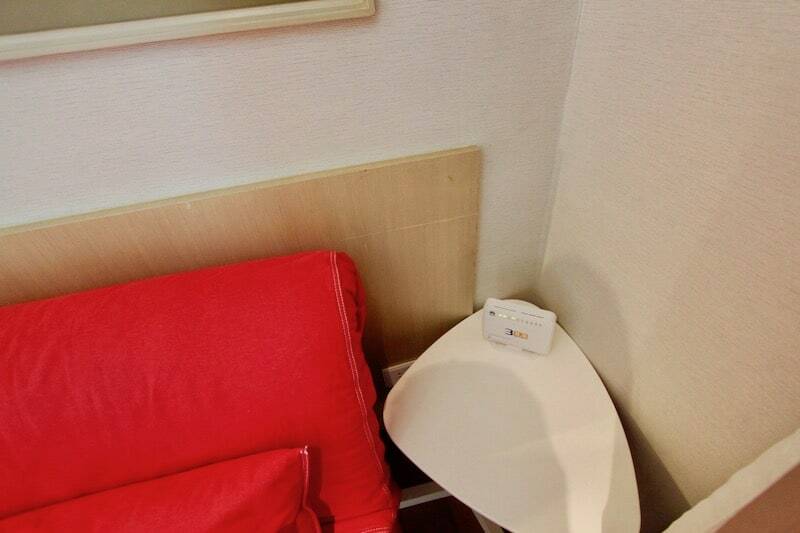 The sofa is a slat bed frame, so the unit can accommodate up to 4 guests at a time. 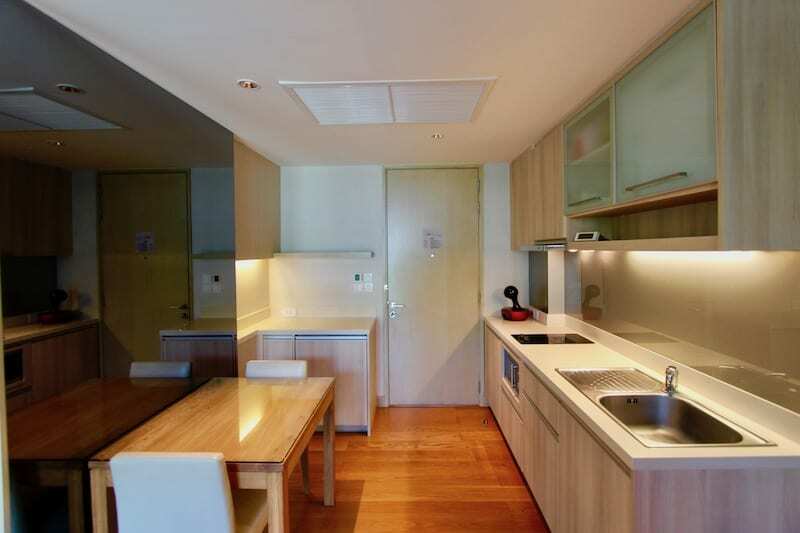 There is also a private washing machine (brand new) on the balcony, a huge advantage for long term stays. 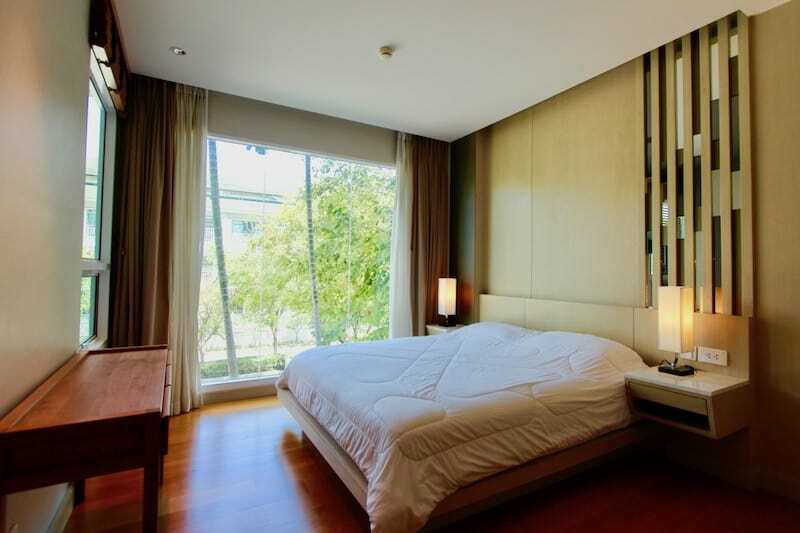 Also included in the rental fee is 1 x weekly maid service and laundry service (up to 5 pc per week: bedding, towels, etc). 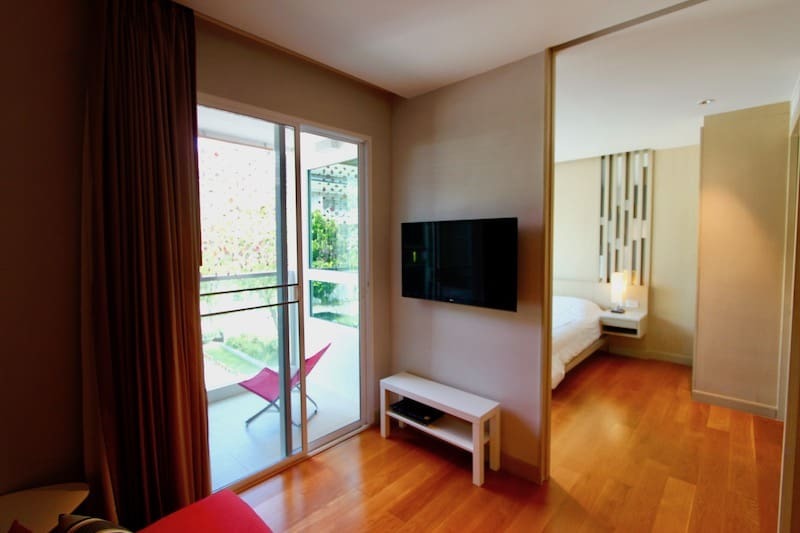 The large bedroom is nicely furnished with a high quality king sized bed, built-in wardrobe and a luxurious en-suite bathroom. 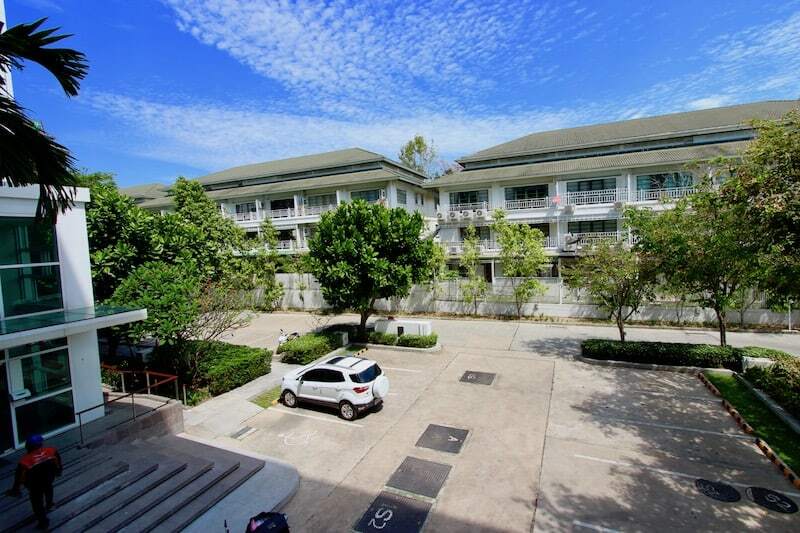 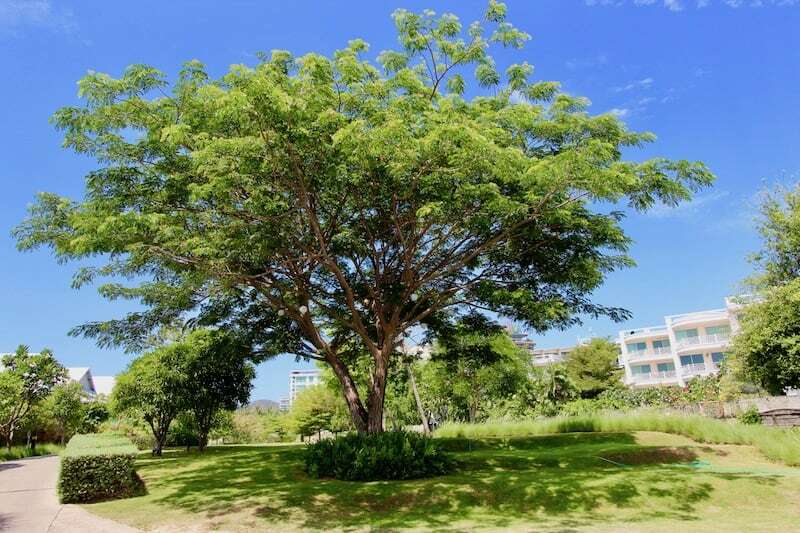 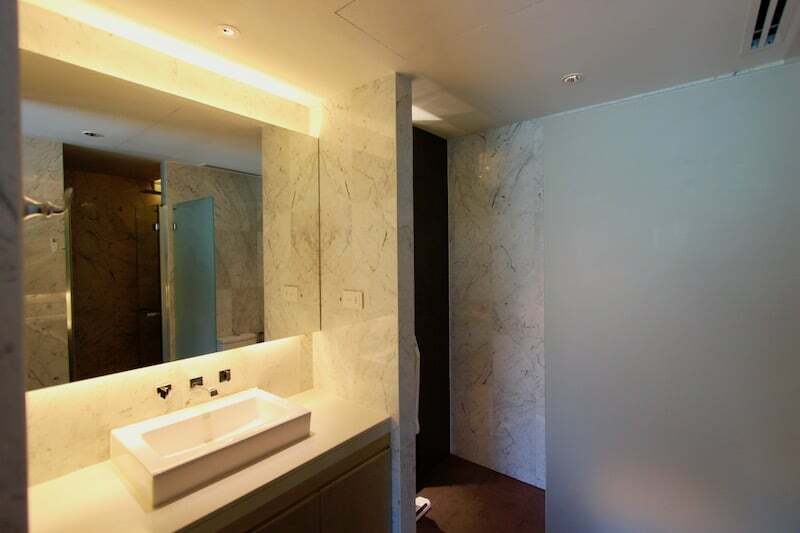 Please call Executive Homes Hua Hin (085-264-2158) if you would like to schedule a viewing or check rental availability for this Hua Hin 1 bed condo.